Cardrunners is back in the headlines once again, but this time it’s for more benign reasons. Cole ‘CTS’ South, one of the top instructors on the #1 online poker training site has announced that he is resigning as both an instructor and part owner of Cardrunners. South made the announcement on his blog citing too many projects, and too little time: “I have had an amazing experience as a lead instructor with Cardrunners over the past few years, but today I am announcing my departure from the company. At the end of April I will be moving on both as an instructor and as an owner of the business. South has been one of the top online poker performers over the years and was co-author of the $1,850 E-Book, Let There be Range. 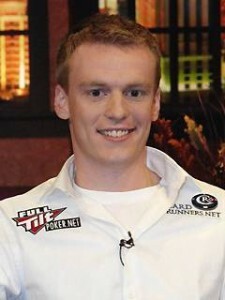 The decision to part ways with Cardrunners comes on the heels of numerous scandals involving the site including Brian Townsend data-mining vs. Isildur1; Jason Ho’s misrepresentation of his skills; and most notably Nick “StoxTrader” Grudzien’s admission of multi-accounting along with allegations that he colluded at the online poker tables. This entry was posted on Thursday, April 29th, 2010 at 12:46 pm and is filed under Poker News. You can follow any responses to this entry through the RSS 2.0 feed. You can leave a response, or trackback from your own site.